St Peter’ – Every Pope. Every week. Pope Conon had the distinction of being the only Pope elected because he was incredibly handsome. The Pope at this time was basically in charge of the Roman army,so the soldiers now decided that they wanted a say as to who should occupy the throne of Peter. The clergy and the army went back and forth and could not come to an agreement,but then they all looked at Father Conon. He was simple,he was wise and he was Holy. He was also the son of a general. The clergy liked his holiness and the army liked the fact that he came from military blood. On top of all this is the fact that he was just an incredible presence to behold. 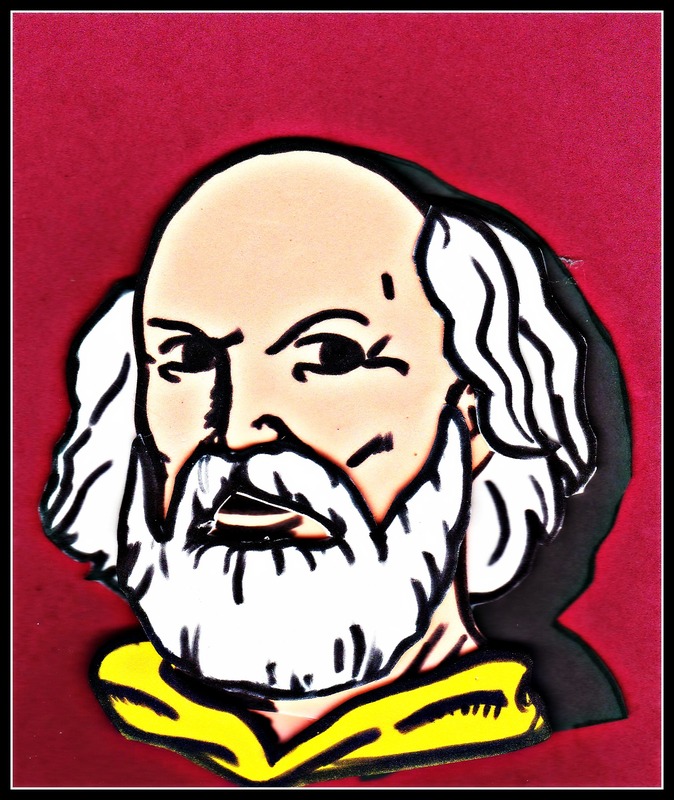 Numerous sources talk up his appearance. This is all very weird,and it reminds me of the story of how the Continental Congress chose George Washington to lead them because he was the tallest man in the room and he looked incredible in his tailored uniform. 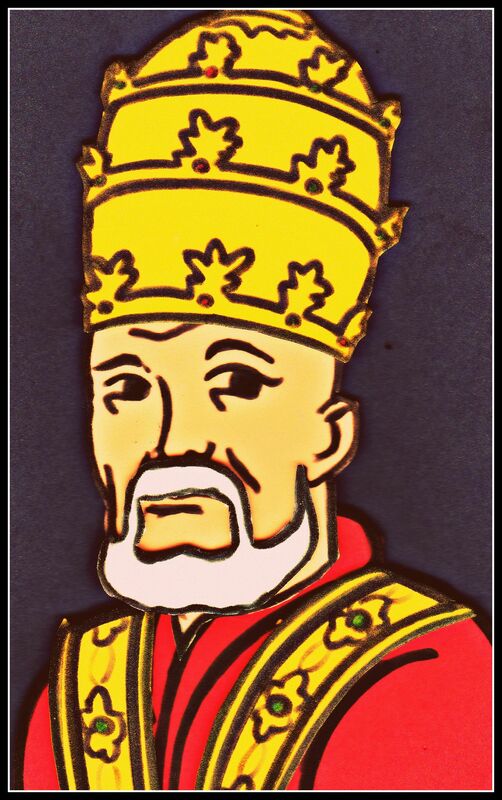 So anyway,we have our new Pope,but there’s one thing they didn’t think through…….Pope Conon may have been the most handsome Pope ever,but he was also incredibly OLD. O-L-D old,like even old by Pope standards old. He barely lasted a year. His lasting legacy,other than his dashing good looks,was sending missionaries into Germany,at that time called Franconia. Oh if only he spelled his name with an A we could have been so close to having a Pope CONAN. 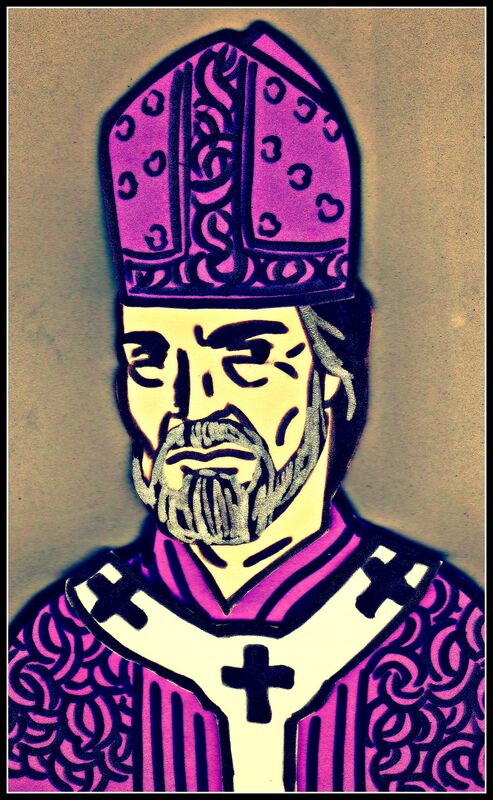 Oh well,we do have a Pope Lando coming later so there’s that….. Angry Pope Theodore I was the next in the line for Popes having to constantly battle the eastern Church over the nature of Jesus. Monothelitism is the belief that Jesus only had one will,a Divine one,as opposed to our Catholic belief that Jesus had both a human and Divine will. This back and forth between the western and eastern Churches over this had been going on for…. (forever it seems since this is all I’ve written about on this blog for weeks now). Pope Theodore refused to recognize the new patriarch of Constantinople,Paul,because the previous guy(Pyrrhus)still believed in the Jesus of only one nature when he passed away,which Paul never corrected. Pope Theodore was still irritated because Pyrrhus had once come to Rome and denounced Monothelitism to the Pope’s face,then after leaving town flip-flopped back. This made the Pope so freaking mad that he supposedly wrote out the excommunication of Pyrrhus using consecrated wine on the tomb of St Peter as his desk. Supposedly(I doubt it was this dramatic but it’s still a cool image). On and on went the battle of wills between the two Churches over the nature of our Lord. The emperor of Constantinople was so sick of hearing about it that he jailed a Papal ambassador when the sensitive subject came up. Pope Theodore was sick of all of this too and called for the Lateran Council of 649 to condemn the issue and hopefully put it to rest once and for all. Unfortunately he passed away before the Council could meet and it would be the next Pope(Saint Martin I),who would bear the full brunt of this strife between the two Churches. This wouldn’t be settled for another 40 years after Theodore(six more weeks for me),so maybe by then I’ll learn to spell “Monothelitism” without the spellcheck correcting me. Pope Sabinian’s short Papacy had the bad luck of following Pope Gregory the Great’s. In fact,Sabinian’s legacy is directly tied to his predecessor. The Lombards had an on again/off again relationship with Rome in that they liked to show up every few years and try to starve the Romans out of their gates. They were a very “siege-y” bunch of people. When this happened under Pope Gregory(The Great. Don’t forget),he opened up the Vatican granaries and let the people have whatever they needed to keep their families fed. He did this for free. Pope Gregory was a charitable kind of guy. Probably why he’s referred to as “The Great”, but I don’t know if I’ve mentioned that or not. Now when the Lombards showed up under Pope Sabinian,he did the same thing Gregory did. Only this time he charged the people for the grain and not only that,he charged them extra. Yeah,that pretty much did it for him with the Roman people. A legacy as a profiteering cheapskate is always going to be a hard thing to shake off. When Pope Sabinian passed away suddenly,his funeral procession had to take alternate routes to St Peter’s to avoid angry mobs of apparently hungry Romans. His Papacy wasn’t a total loss though,he filled Church positions with lay people as opposed to Gregory filling them with his monk friends……so that’s….something. Pope Vigilius was not a great Pope. He lied,schemed and swindled his way to the Papacy,and he may have even had a hand in the death of the previous Pope,Silverius. Like I said. Not a great Pope. Vigilius was the first of the Byzantine Popes,basically that means Popes nudged into office under the influence of Constantinople Emperors. The main controversy of his Papacy was the various heresies of the day and the different push and pulls of the kings or emperors trying to assert their beliefs by force. Eastern emperor Justinian condemned writings known as “The Three Chapters”,which denounced one set of heresies while it supported another. Justinian demanded that the Pope approve this condemnation of these writings,and it was a “damned if you,damned if you don’t” situation that Vigilius was forced to take part in. To his credit,he refused. He couldn’t condemn these documents,because it would show validation to another heresy that The Church did not approve of. Vigilius was a weasel,but he was a devout weasel. Justinian lost patience with him eventually and had his goons seize the Pope in the middle of Mass. He was forcibly brought to Constantinople and made to sweat it out until he agreed to the emperor’s demands. Vigilius was kept in custody for nearly a decade,which explains his long Papacy when the average Pontiff term at this time was just a few years. 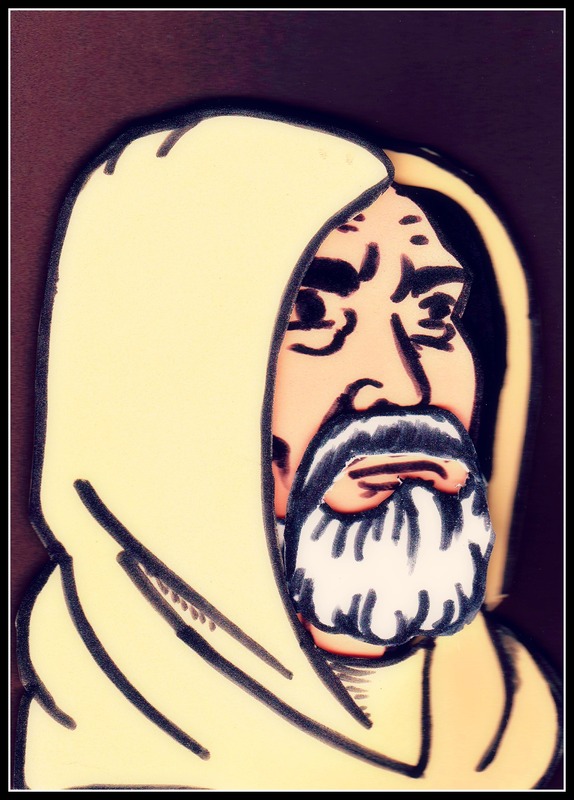 He was stubborn at first,declaring that “You may keep me in captivity, but the blessed Apostle Peter will never be your captive.” Defiant words,but eventually he was worn down and he regrettably submitted to the emperor’s demands. Pope Vigilius was finally released,but unfortunately died in Sicily on his way back to Rome. Pope Sylvester I was in office for over 20 years and he was the longest reigning Pope at the time of his death. Emperor Constantine had just legalized Christianity and it really helps the job security of being Pope when the Roman Emperor isn’t always trying to martyr you. There is not very much known of Sylvester,as his time in office was pretty drama-free. What is known is that many churches were built during his time,including the original version of the most famous church in the world; St. Peter’s Basilica. When Jesus told Peter that he would be the “Rock upon which my Church is built”,he was speaking figuratively and now,literally,as St.Peter’s was built directly on top of the tomb of Peter. This version of the Church would last for over a thousand years until the present St. Peter’s was built in it’s place. 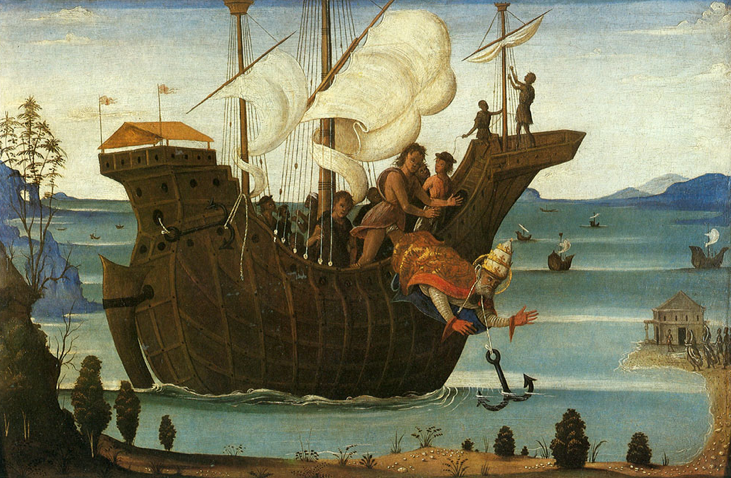 Apostle burial grounds are much more accepting of having things built on top of them,as opposed to the Native American kind……..
One of the most famous legends concerning Pope Sylvester was the baptizing of Emperor Constantine. The Emperor was suffering from leprosy and when the baptizing waters flowed over him,he was miraculously healed. When the Pope mounted his horse to ride back to the Lateran Palace,the grateful Constantine took the bridle and humbly walked the Pope’s horse back home in front of all the Roman people. Pope Sylvester’s feast day is celebrated on the anniversary of his death on December 31. The Church of Santa Susanna of Rome was built in the early 1600s and it was built on the site of an earlier Church that can trace its lineage back to when it was the house that belonged to Pope Caius. St. Caius led the Christians in a time that was still very dangerous,but there was also on the horizon a new time when Christians would be accepted,a time when the Roman emperor himself would be a Christian,but that was still just a few decades away. 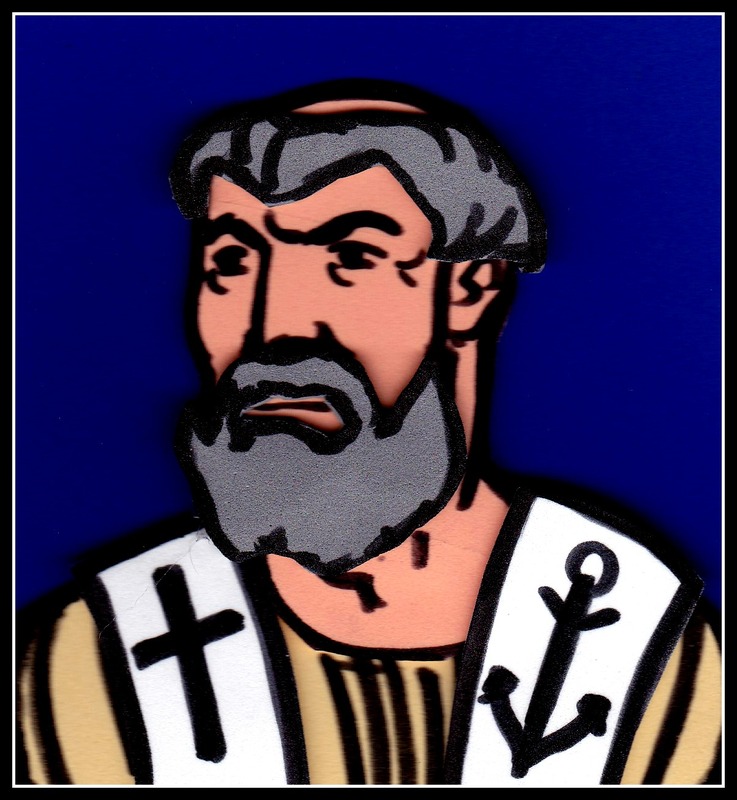 Pope Caius decreed that before a Christian became a Bishop,he must first be a porter,lector,exorcist,acolyte,subdeacon,deacon and finally a priest. This was to ensure that only the most qualified and most wise would become Bishops. He was buried in the Catacomb of Callixtus and inside his tomb was later found his ring that he had used to seal documents. This Papal ring would later be known as the Ring of the Fisherman(named for St.Peter’s occupation).Each Pope gets a new ring when elected and the previous Pope’s ring is always destroyed or marked so that no documents can be forged in his name. It’s kind of like the Phantom with his skull rings,only the Pope isn’t going to punch you in the face with it. You’d have to be pretty rotten for a Pope to want to punch you. The first Pope that is not mentioned in the Bible(although still not being referred to as “Pope” yet),he also would have not personally known St Peter or any of the other Apostles. Being the first Bishop without the safety net of the Apostles would have been a very challenging position,and this is when most Christians started really relying on the Gospels for added guidance. 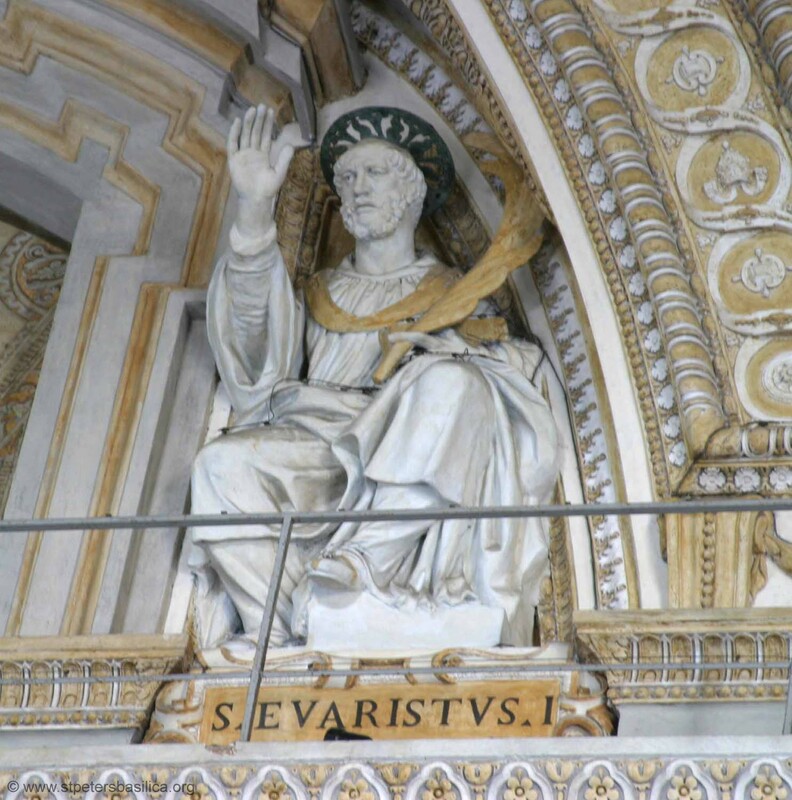 Very little to anything is known about Evaristus,which is a shame,for this was still a very dangerous time to be a Christian,and on top of that,some smaller Christian groups started splintering off with different ideas about who and what Jesus was. Through this difficult time,Evaristus held everything together,and that the still very new title of Bishop of Rome continued on after his death should give him a little credit. Plus,he’s got a cool statue at St Peter’s…..so he’s got that going for him. The first apostolic father of the Church. The last Pope that knew Peter and the apostles and the last Pope mentioned in the Bible. His letter to the church of Corinth was a great unifier for early Christians that were slipping away from the teachings of the Apostles. Banished to a stone quarry by Roman Emperor Trajan,Clement then went about converting both local pagans and his fellow prisoners to the Christian faith. He was a troublemaker;I love it. For his punishment for this,he had a boat anchor tied to his neck and he was thrown into the Black Sea. Yikes. His friends prayed to God over their grief that they may never find his body,but then the water receded enough for his body to be recovered for a proper burial. The anchor(St Clement’s cross),is his symbol,and besides being a hipster doofus tattoo of choice,it represents that in the bleakest or darkest of times,your faith in God will always anchor you to your path. The fisherman from Galilee that became a fisher of men. The rock upon which the Church was built,(his name Peter roughly translates to the word rock),he was told by Jesus to go and feed his lambs,tend his sheep. His missionary work took him to many places until he finally settled in Rome. He was martyred by Emperor Nero,held up with his fellow Christians as scapegoats for the fire that destroyed much of Rome. He was fleeing the city when he saw a vision of Jesus heading back into Rome. He asked where Jesus was going,and Jesus told him he was going into the city,to be crucified again. Peter turned and probably giving the biggest sigh in history,went back to Rome and to his fate. He had failed Jesus before,but not this time. He was crucified upside down,feeling he was unworthy of the same death as his lord and friend.